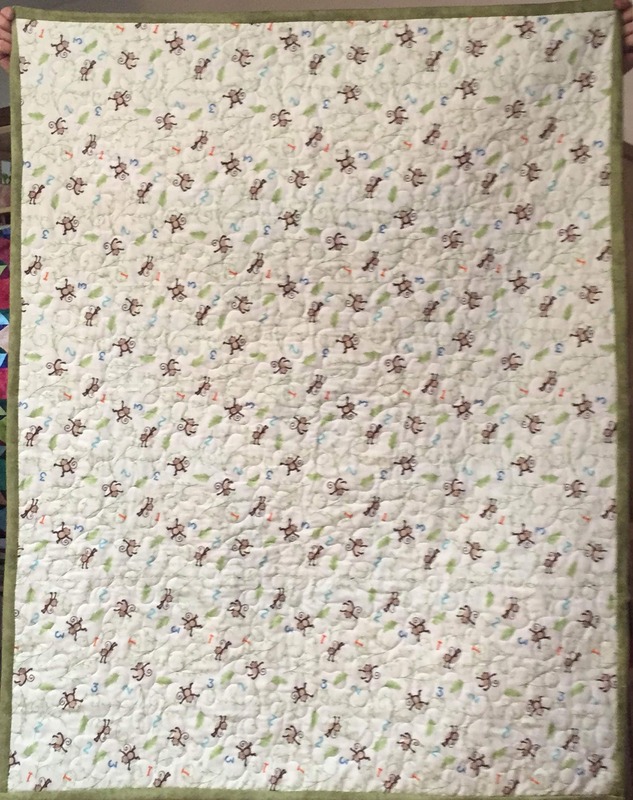 My very first quilt. 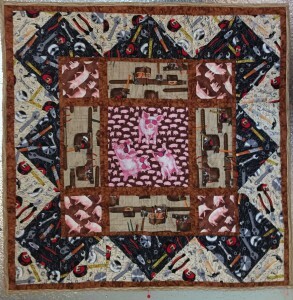 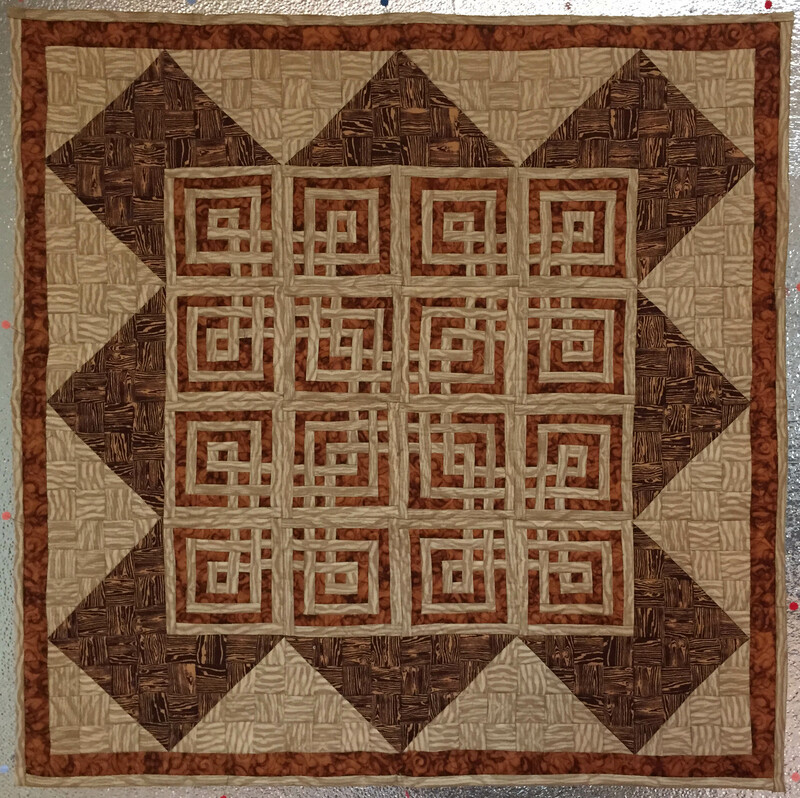 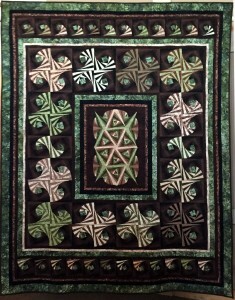 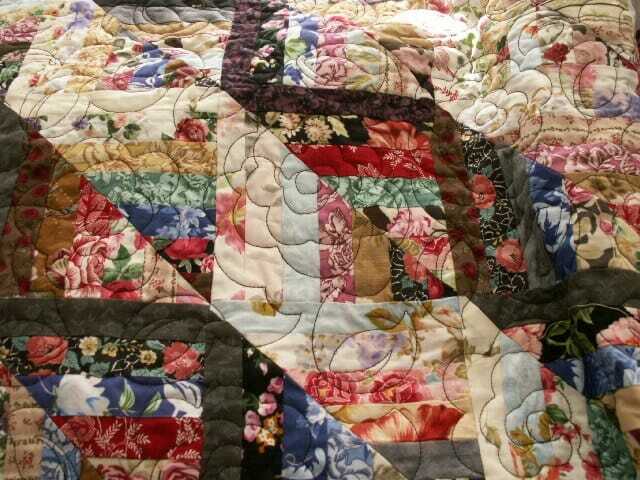 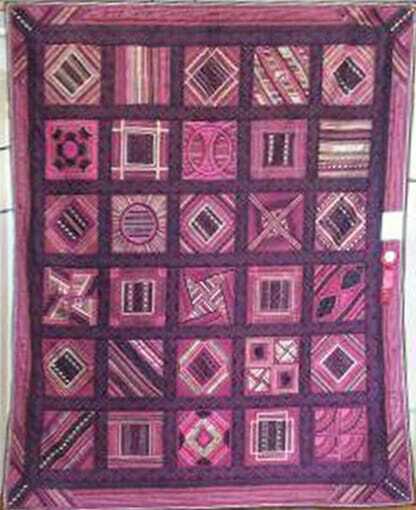 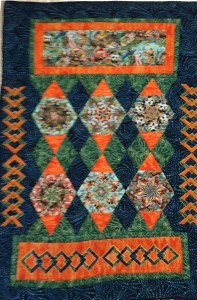 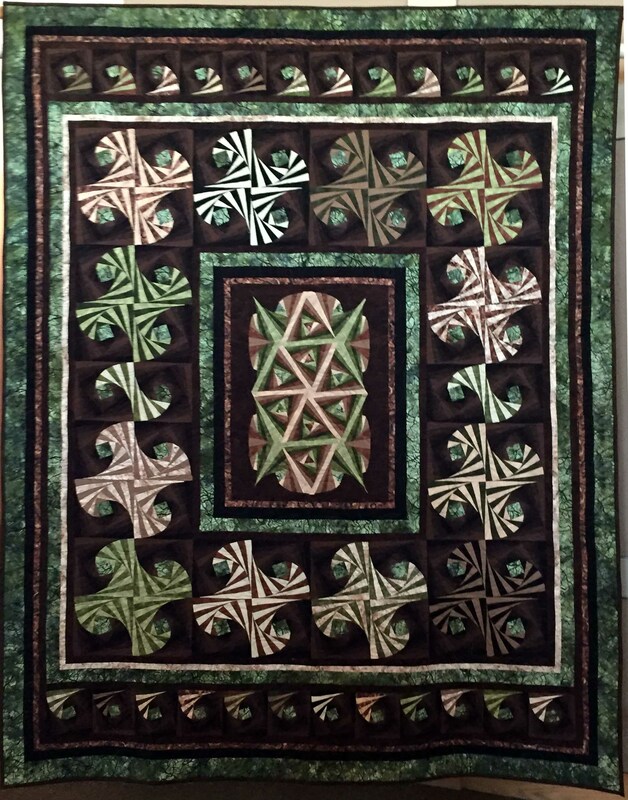 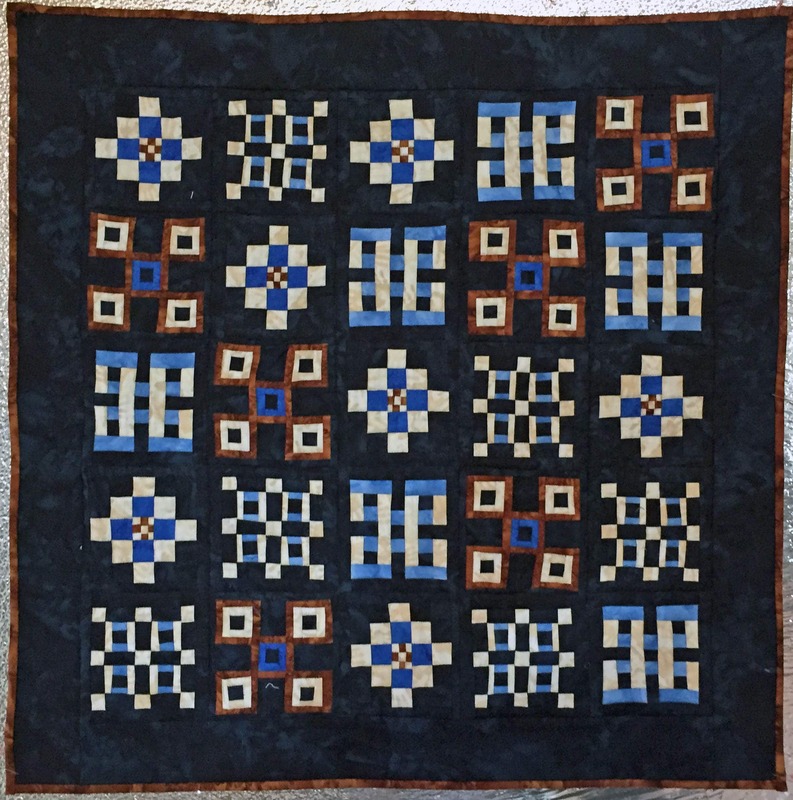 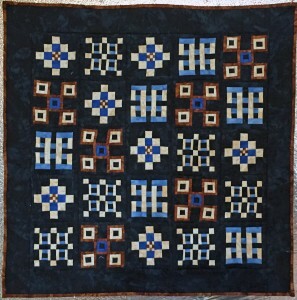 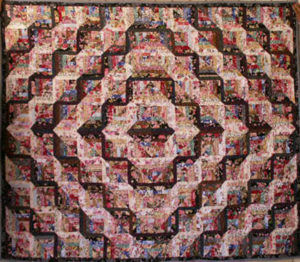 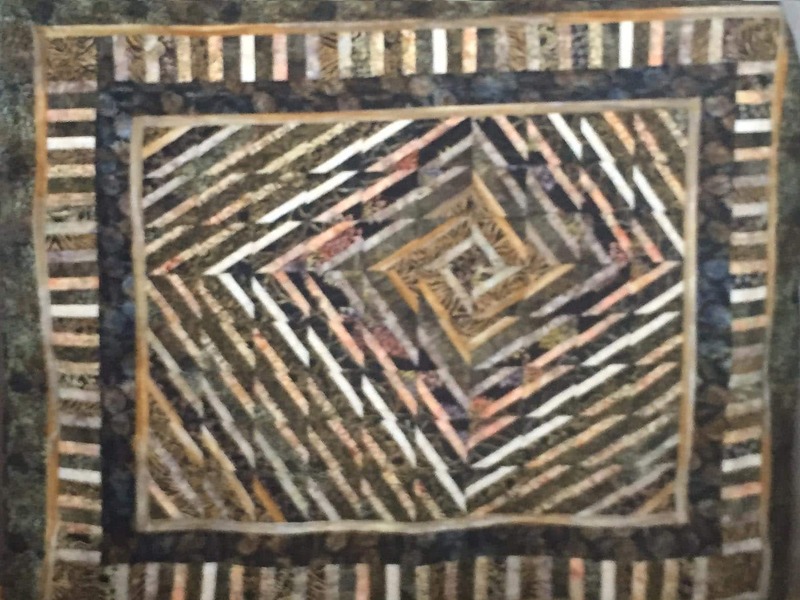 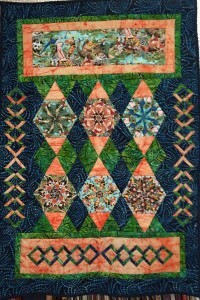 from 2002, is “My Wild Heritage,” made in a 10-week class for Heritage quilts. 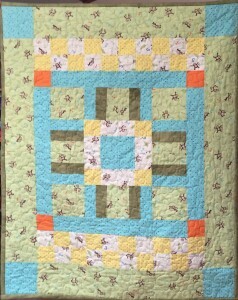 I was told to use only white or beige colors, with perhaps a bit of baby blue ribbon. 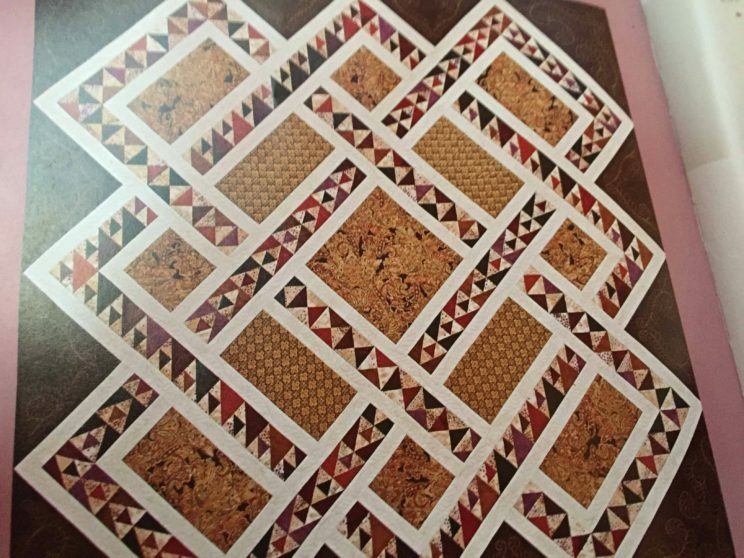 When I showed up with these materials I was told “You can’t do that” because it wouldn’t be a Heritage quilt. In my lifetime I have often been told what I can’t do. 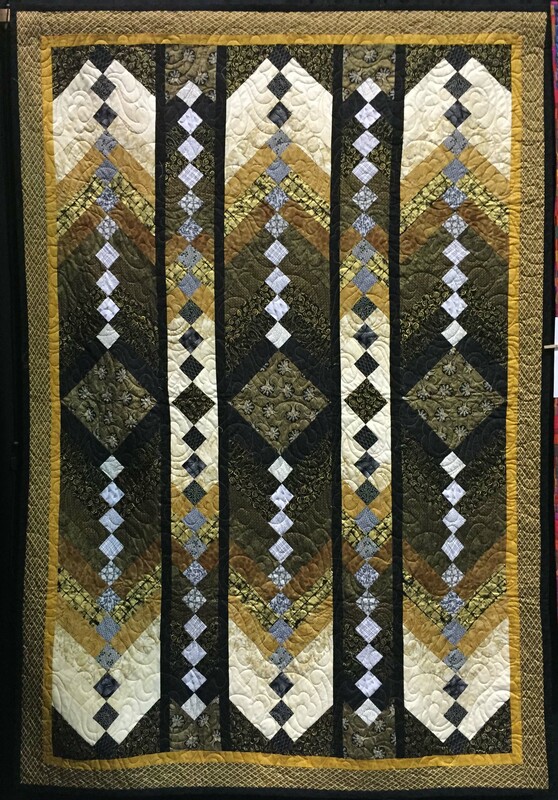 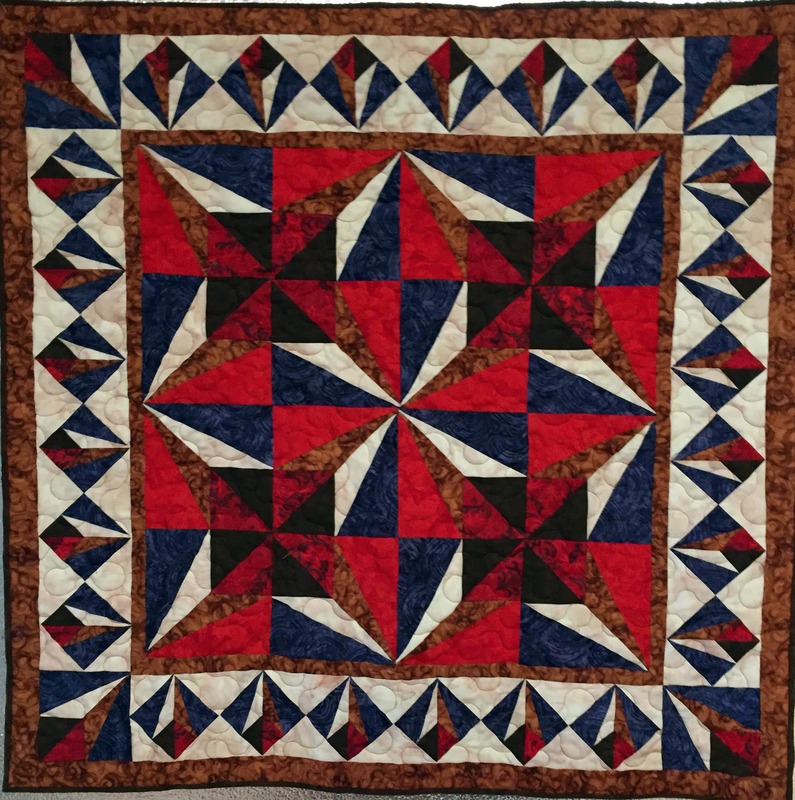 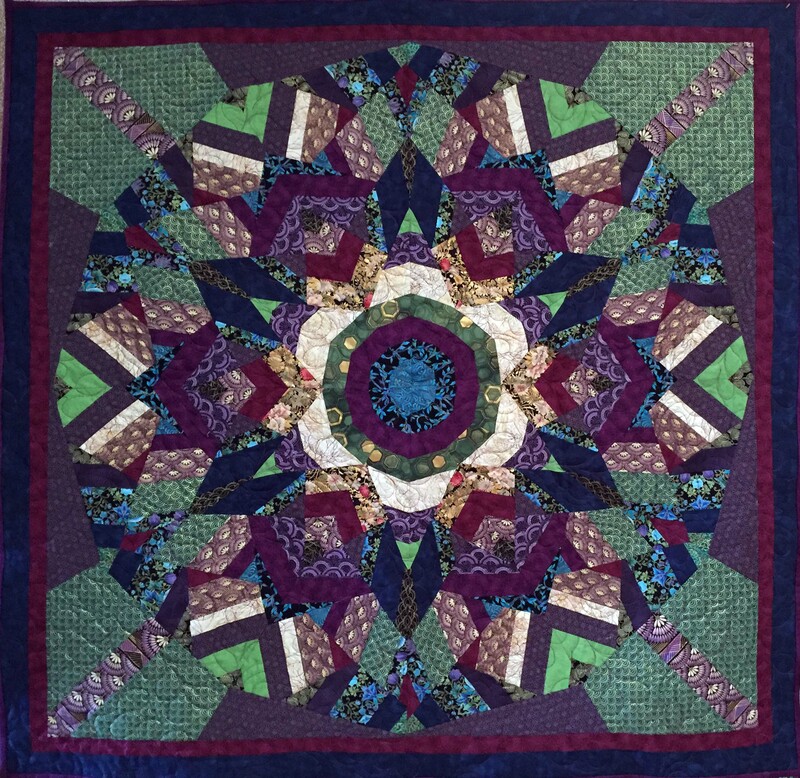 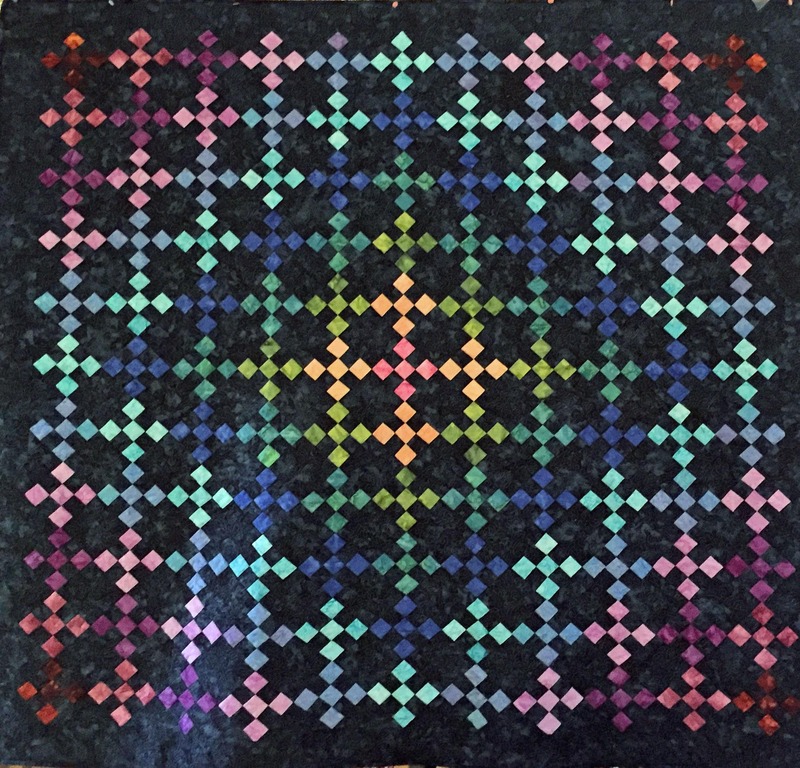 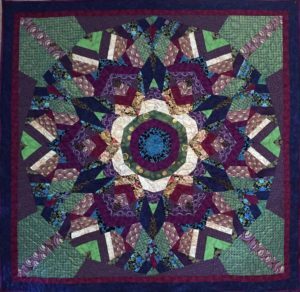 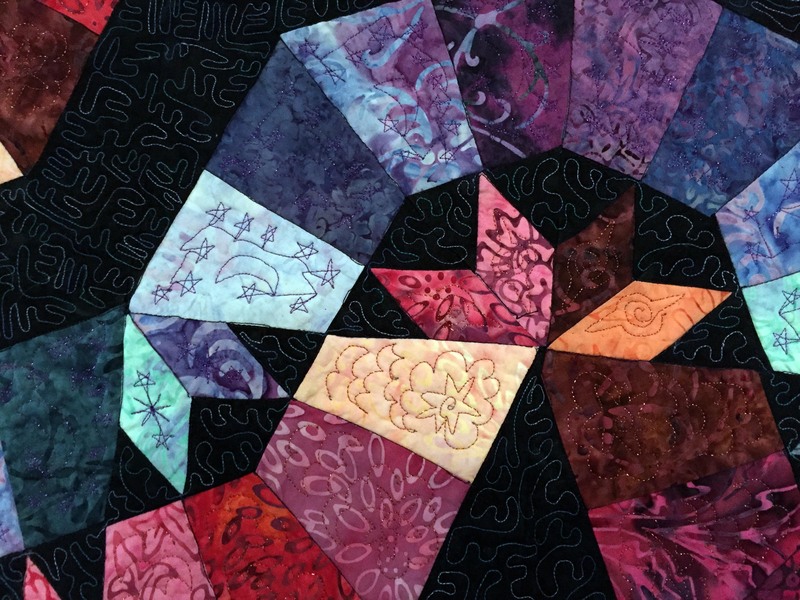 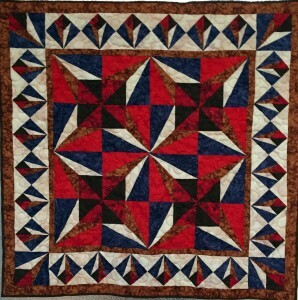 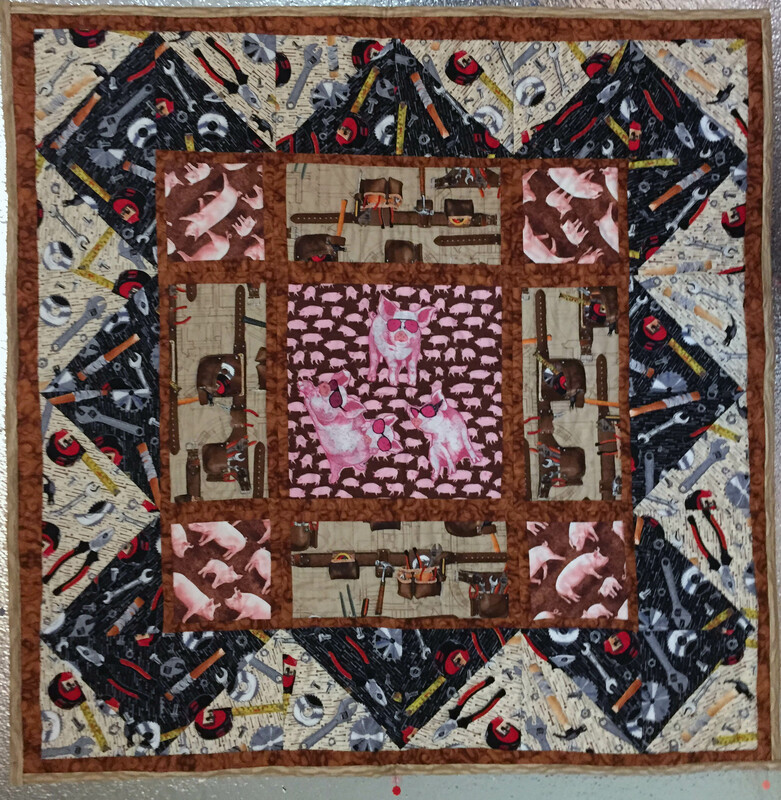 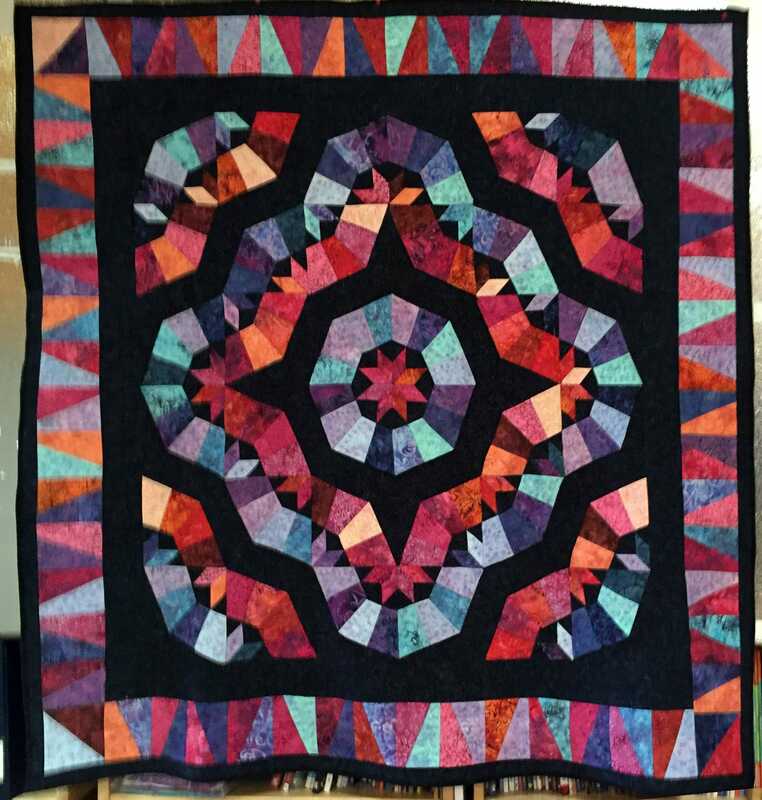 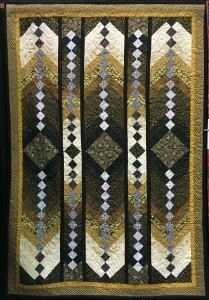 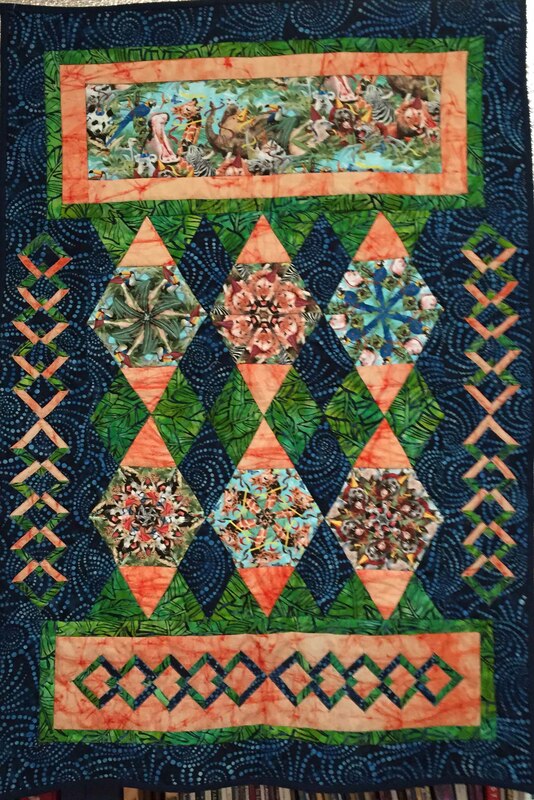 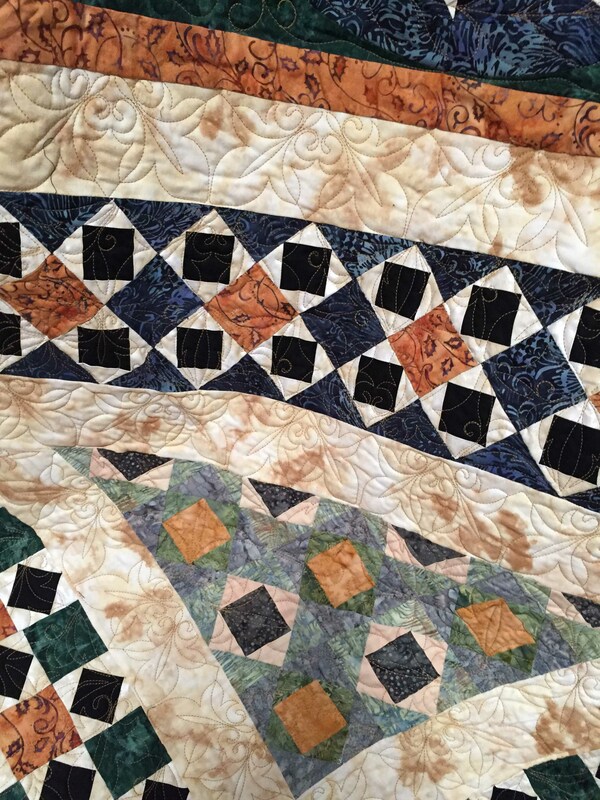 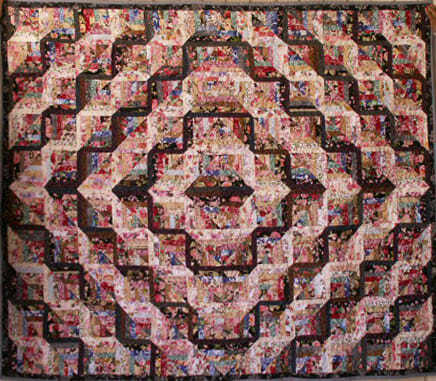 This quilt won a second place ribbon for the appliqué category in the 2014 South Valley Quilt Association show in Morgan Hill, CA. 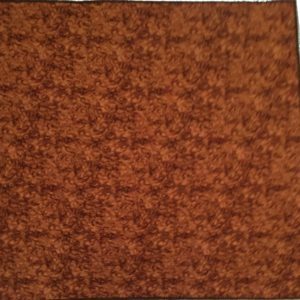 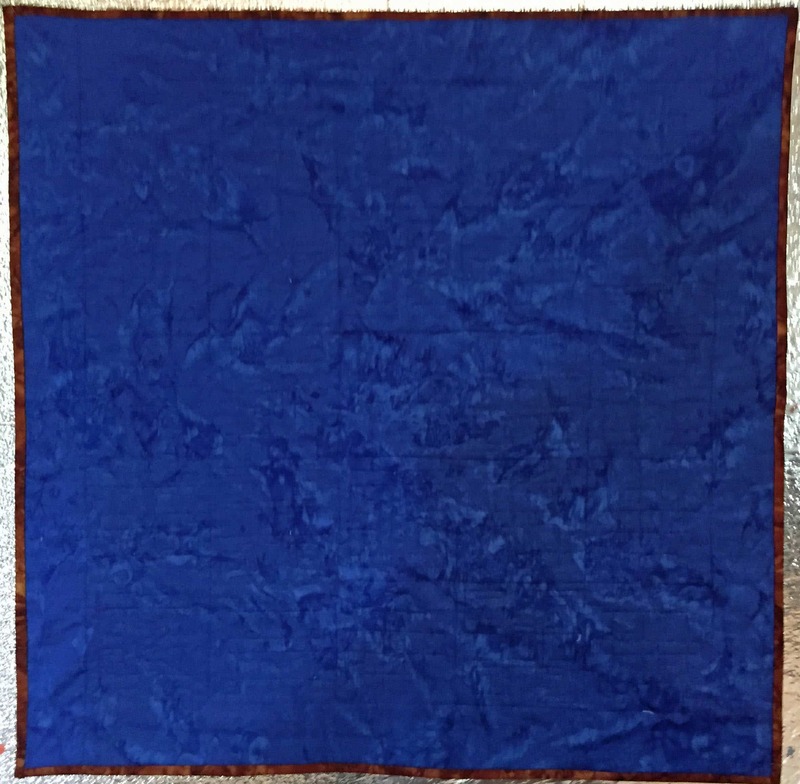 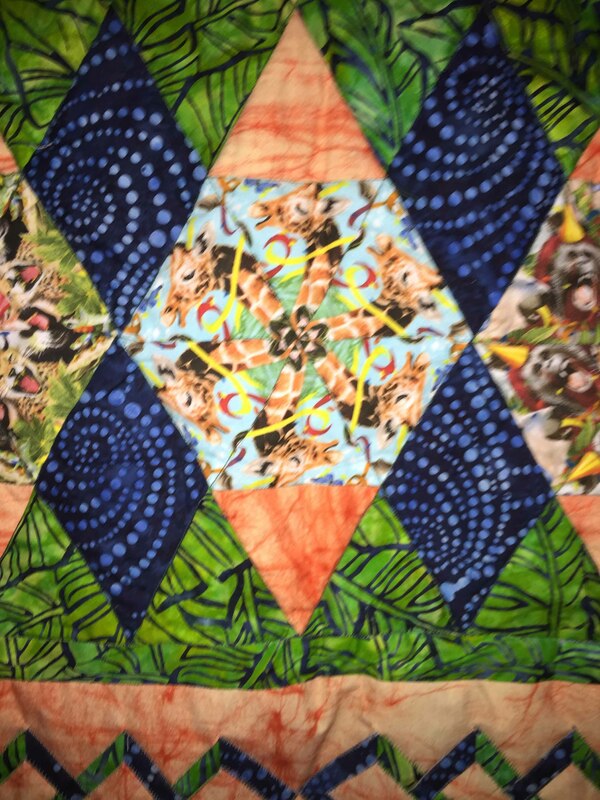 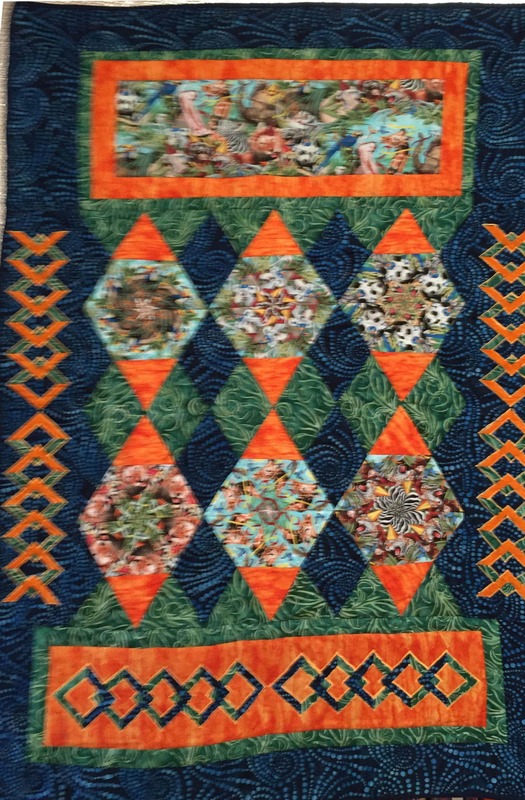 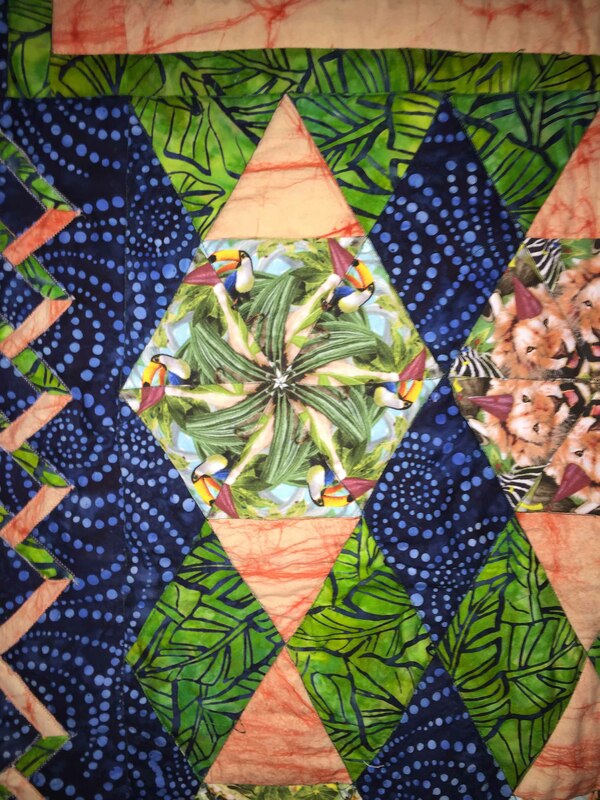 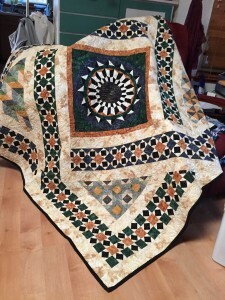 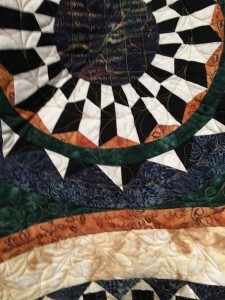 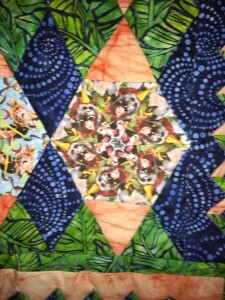 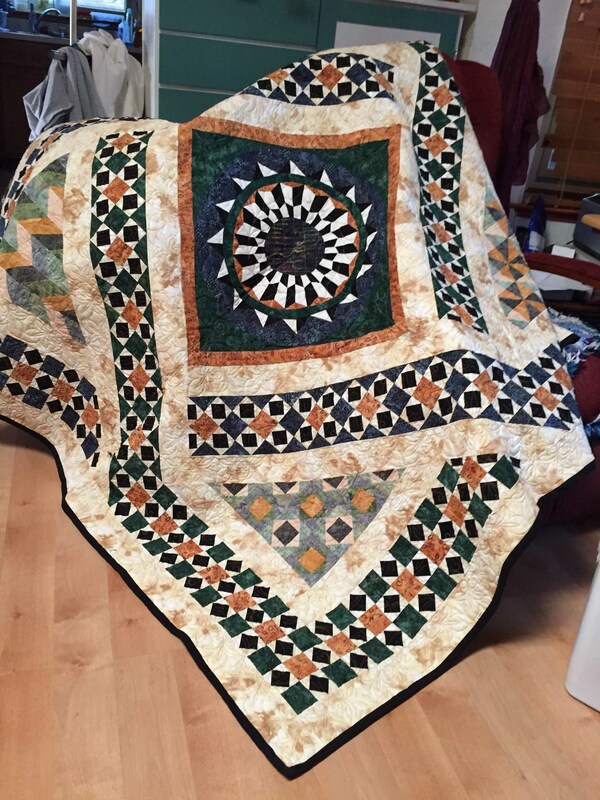 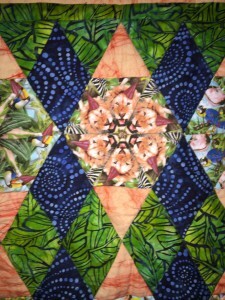 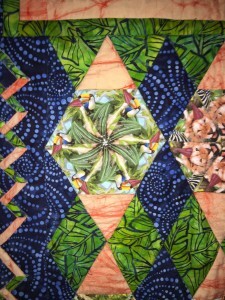 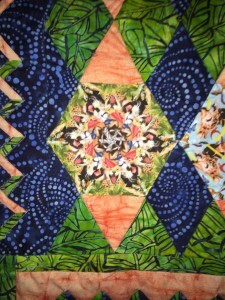 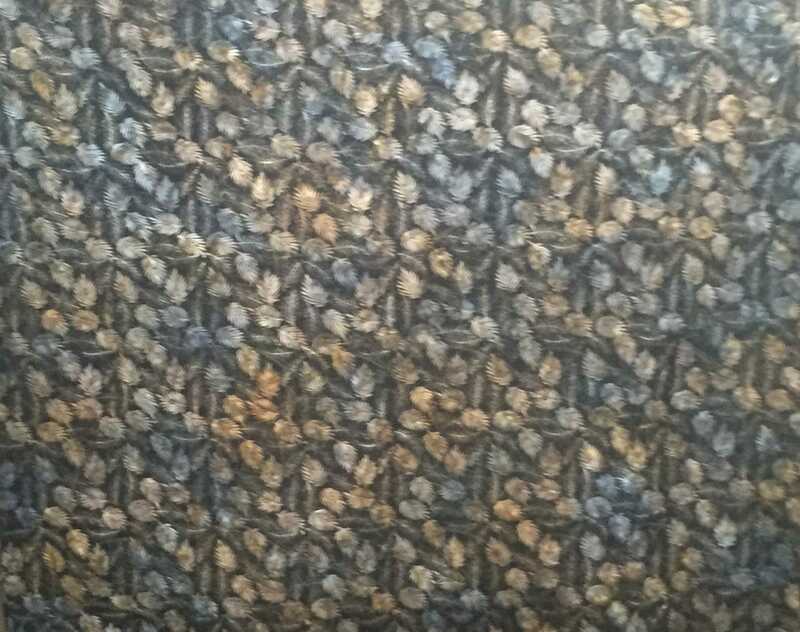 My nephew Tyler’s Christmas quilt started as a kit called “Vortex,” then grew from there. 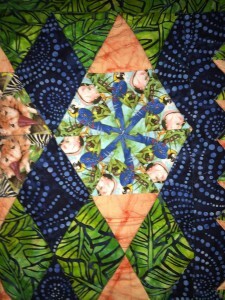 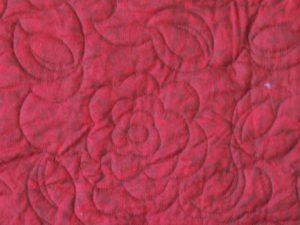 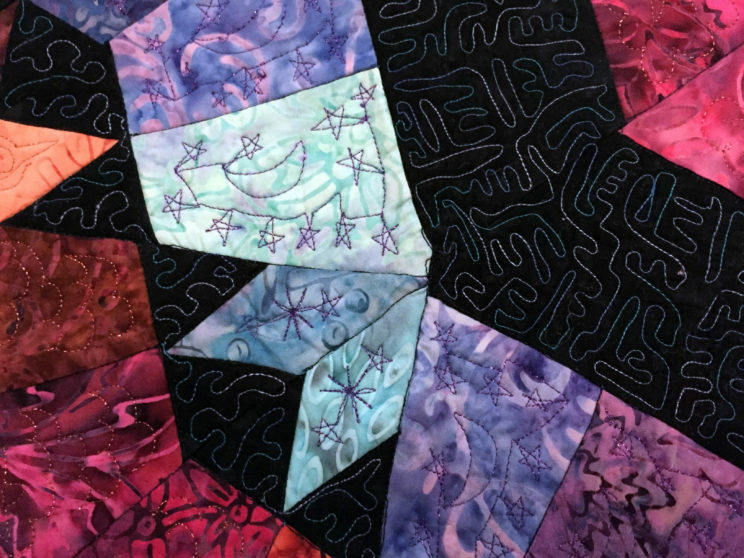 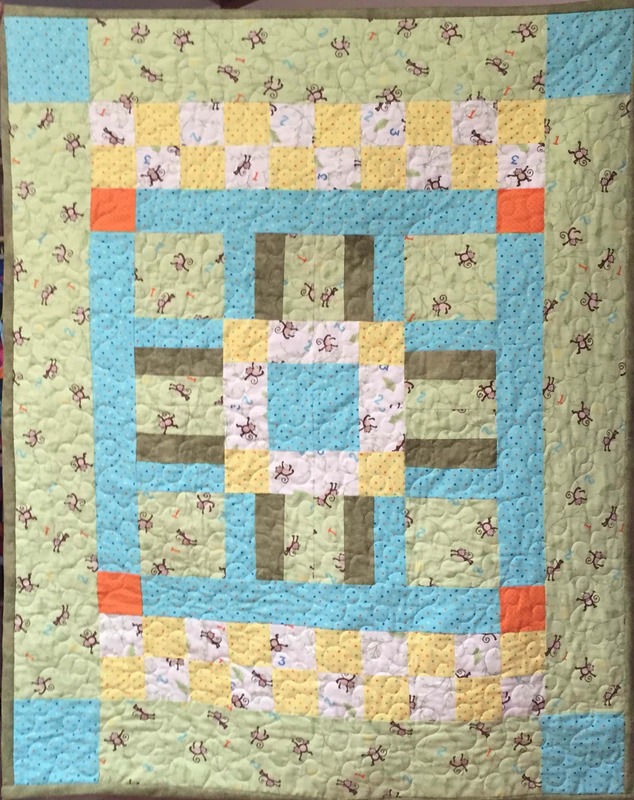 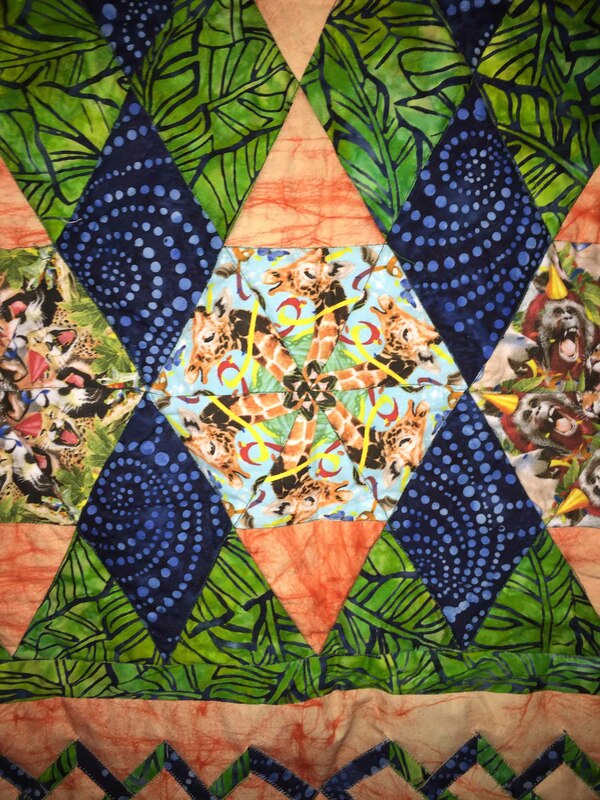 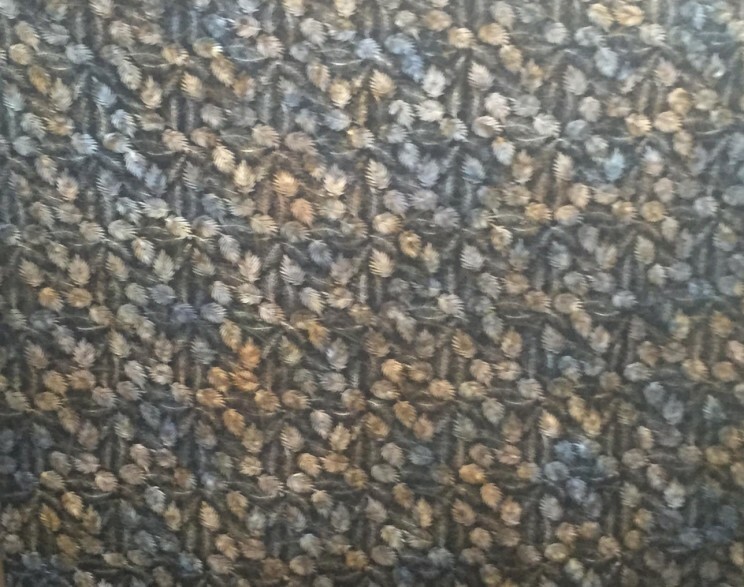 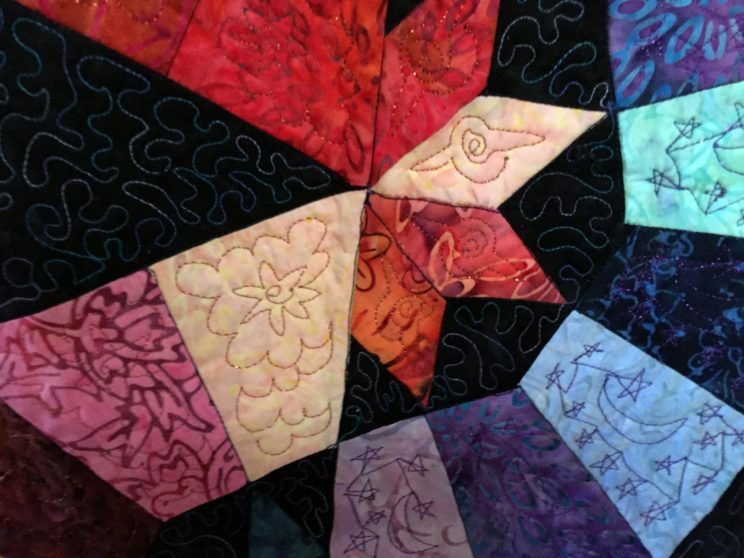 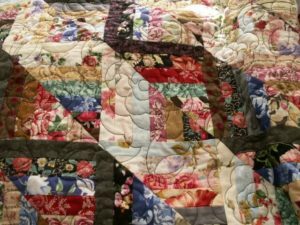 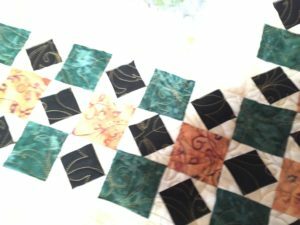 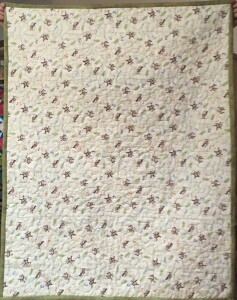 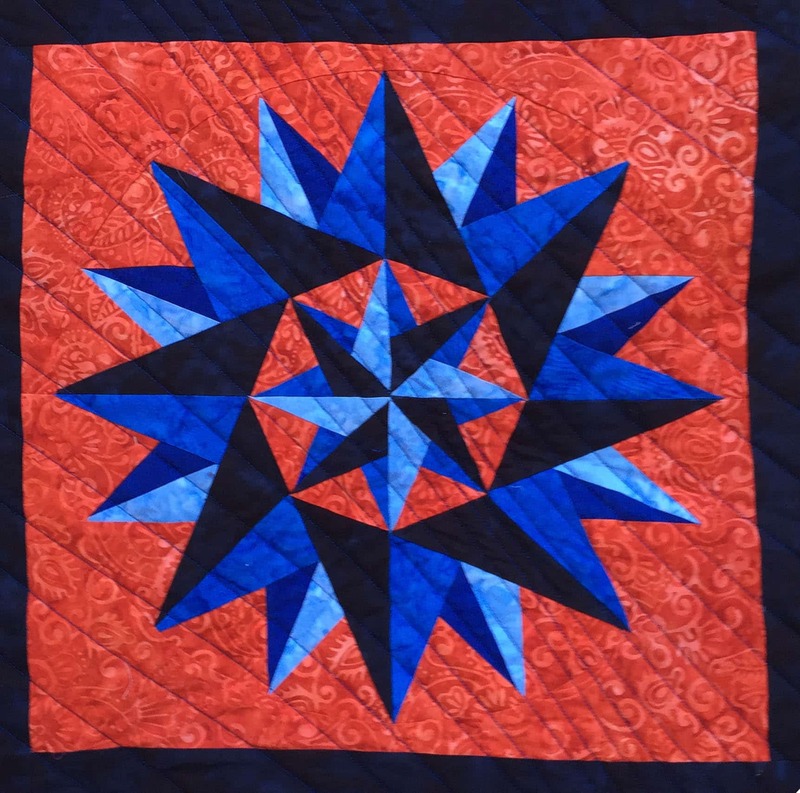 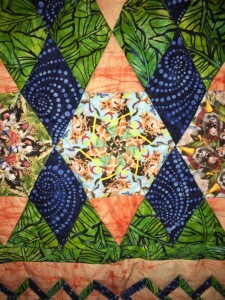 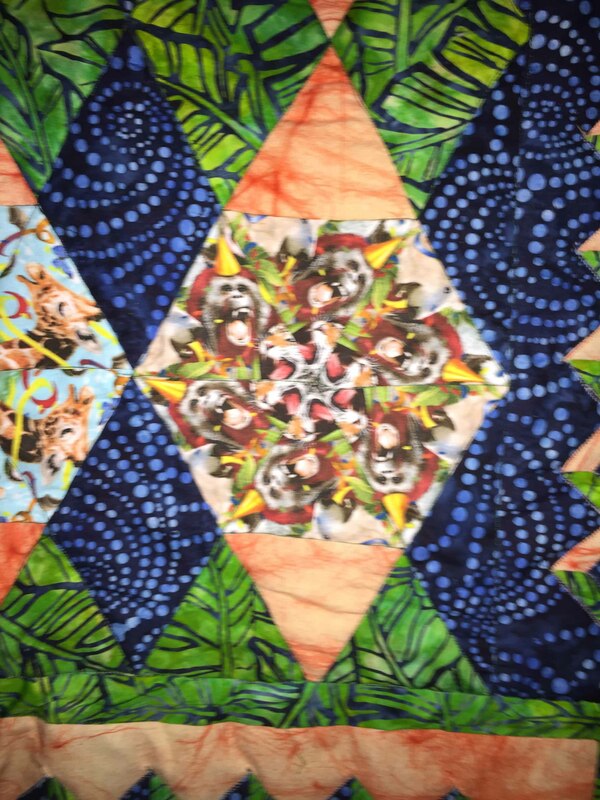 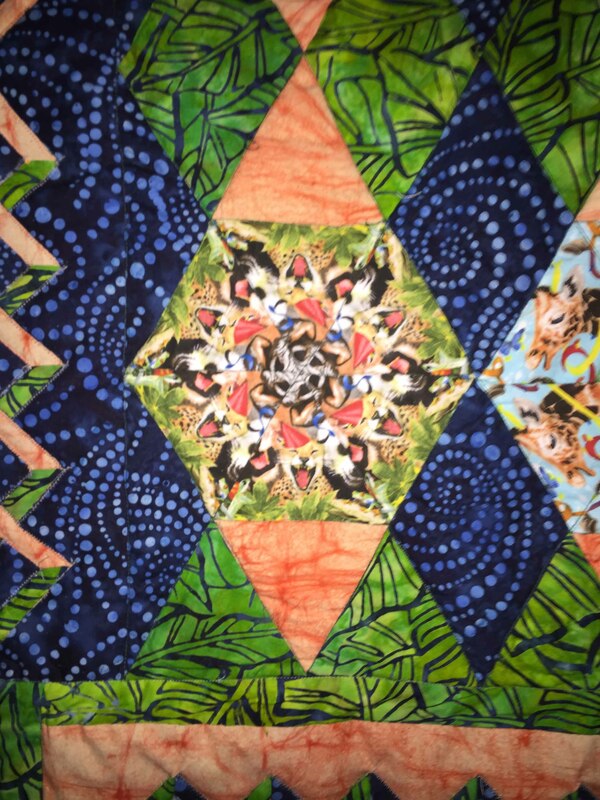 Pinwheels – my first free-motion quilt. 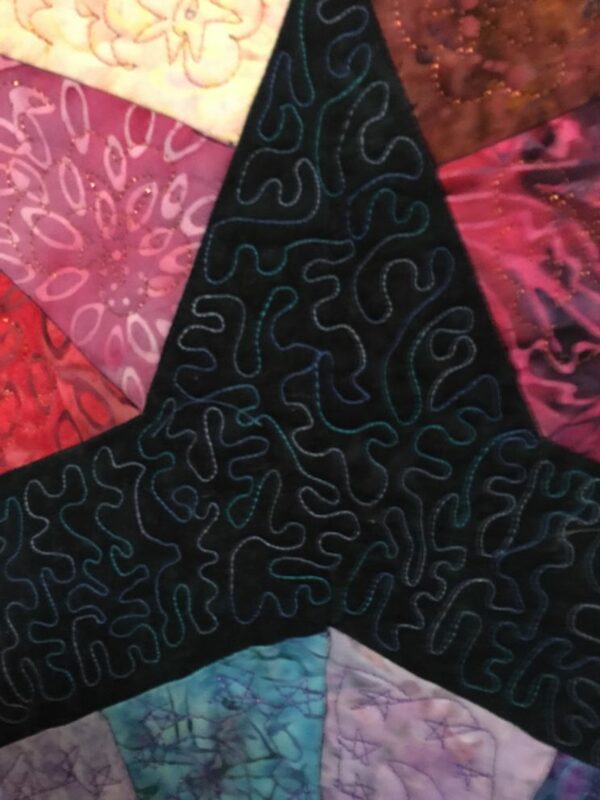 Derived from a pattern called “Japanese Fan,” I made free-motion suns-and-clouds and moons-and-stars, with what I consider only moderate success, because the stitching doesn’t show well on the patterned fabrics. 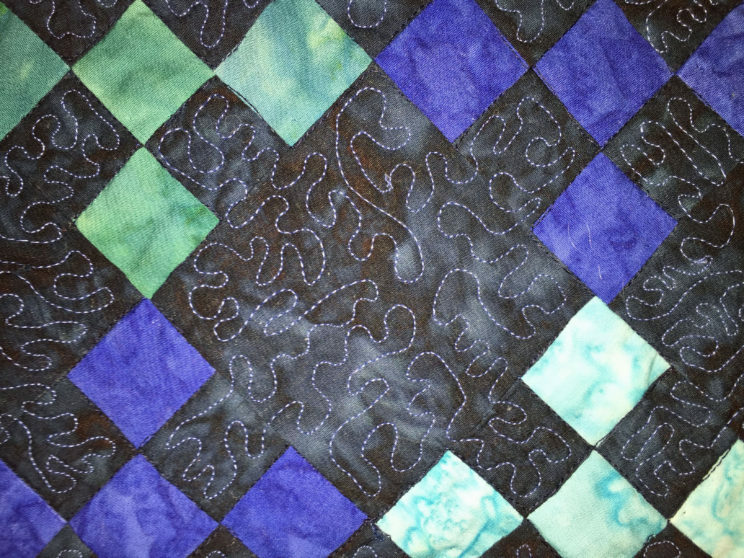 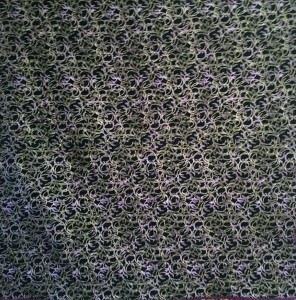 A kit quilt for Sarah, I got to practice my stippling. 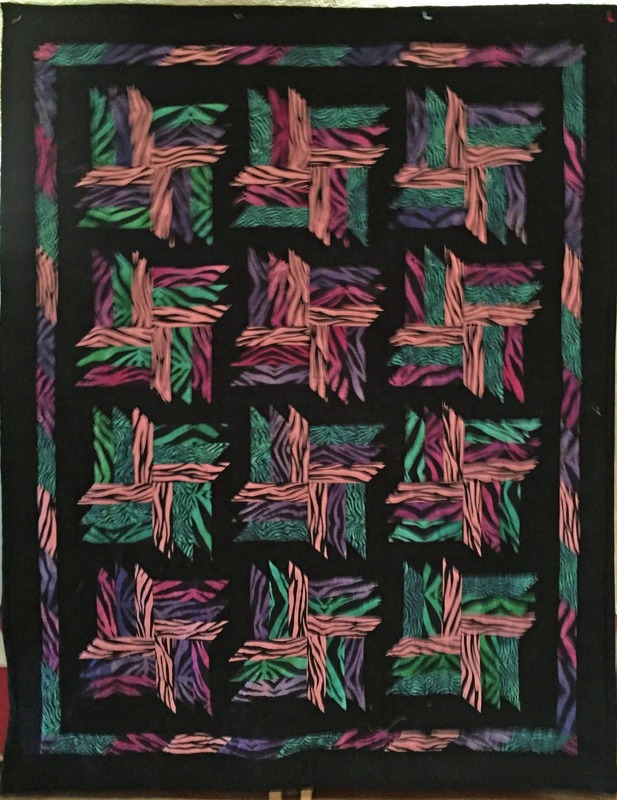 That’s about all I can say for this one. 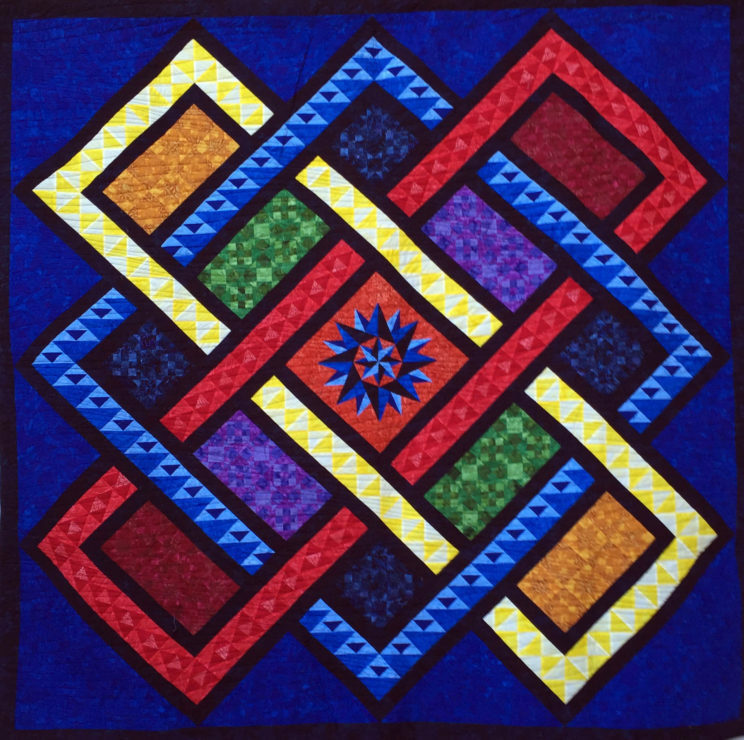 I never work with yellow, but John and his bride asked for primary colors, and after 40 years of friendship I had to give him what he wanted, so here is a wedding quilt for a first marriage at age 69 and there is a baseball story here. 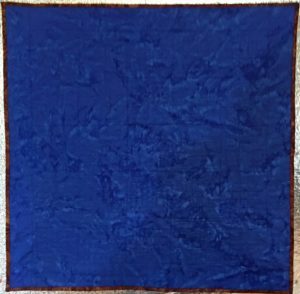 John is an LA Dodgers fan, so I built him a Dodger Blue baseball diamond, with his star pitcher Clayton Kershaw in the center on the mound. However, Our SF Giants star pitcher, Madison Bumgarner, hit a grand slam off of Kershaw this year, so the star is surrounded with Giants orange. 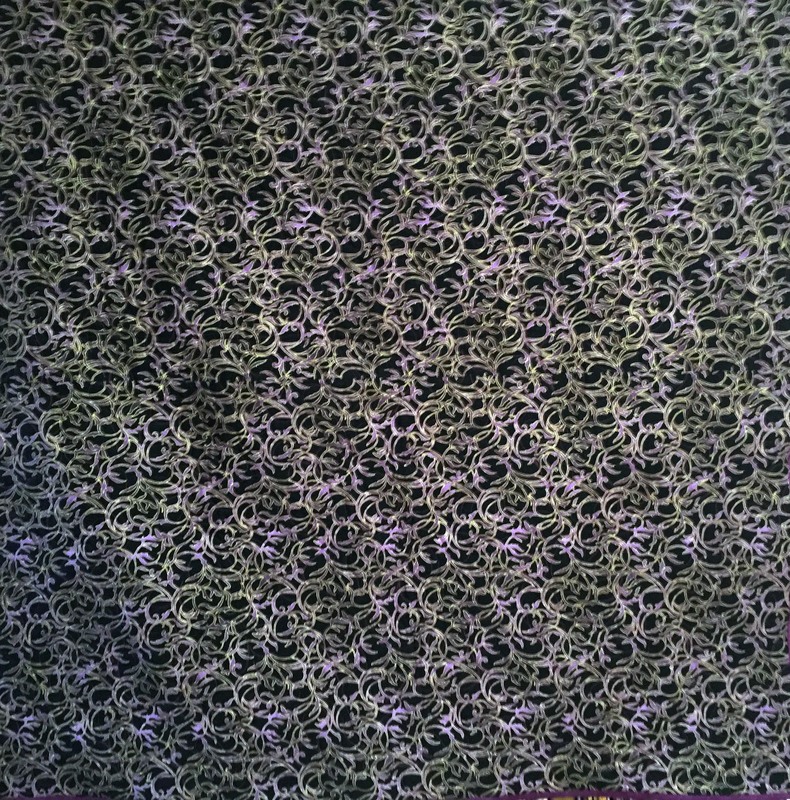 Sorry, John, had to do it. 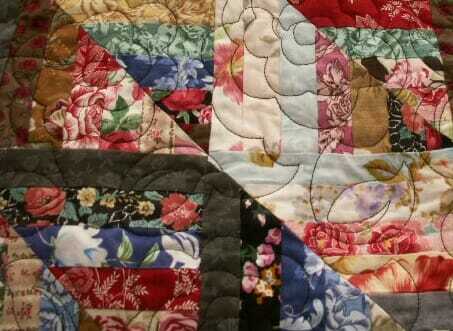 But done with much, much love.